What’s it like to create the sound for the 23rd film in the James Bond series you might wonder? You could say it’s probably almost all been done already, SoundsWorks sits down with the sound crew to find out how they went about creating the sound for Skyfall. 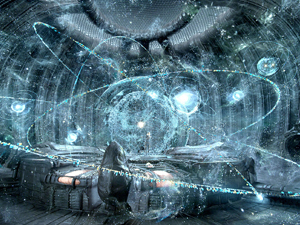 The SoundWorks Collection talks with the sound team of Director Ridley Scott’s latest science fiction film “Prometheus” including Supervising Sound Editors Mark Stoeckinger and Victor Ennis, Sound Re-recording Mixers Ron Bartlett and Doug Hemphill, Sound Designers Ann Scibelli and Alan Rankin, and Sound Effects Researcher Charlie Campagna. 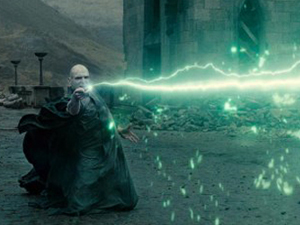 After eight films over a 10-year span, the epic adventure of Harry Potter and his circle of wizard friends will close the last chapter of this celebrated series with Harry Potter and the Deathly Hallows – Part 2. 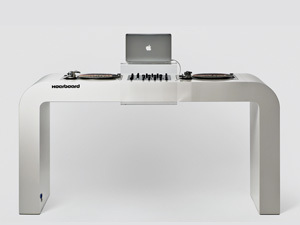 Check out these beautiful custom made DJ workstations by German designer Hoerboard. Using CNC-designed MDF [Medium-density fibreboard], a resource-friendly building material and laser-cut powder-coated steel; these DJ workstations can be customized according to your specifications, with mixers, turntables, CD-players, space for your laptop and other DJ devices. All power cables are invisibly integrated and your choice of different high-quality veneer or hardened lacquer surfaces add your own personal touch. The brainchild of designer David Kornmann.